This manual covers service, maintenance and troubleshooting procedures for the 1992-1998 BMW 318, 323, 328, M3 models (e36 generation). It includes detailed OEM BMW specs, illustrations and service procedures to guide the mechanic with correctly repairing and troubleshooting the car. 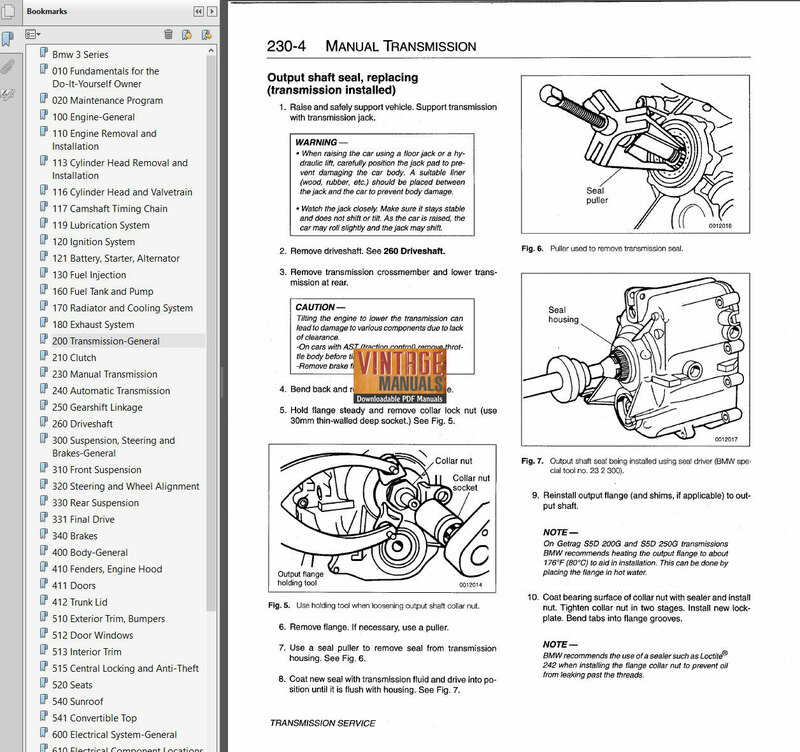 This manual is offered in a convenient PDF format viewable on your computer.